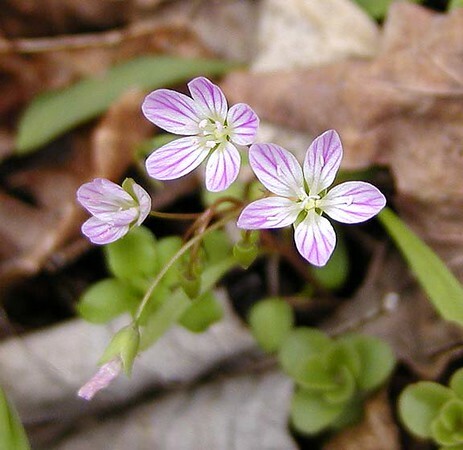 Very pink striped Spring Beauty lines the slopes at the beginning of Chestnut Top Trail. Portulacaceae. That's all for this edition, but stay tuned as the weeks and months unfold. There will be regular updates.